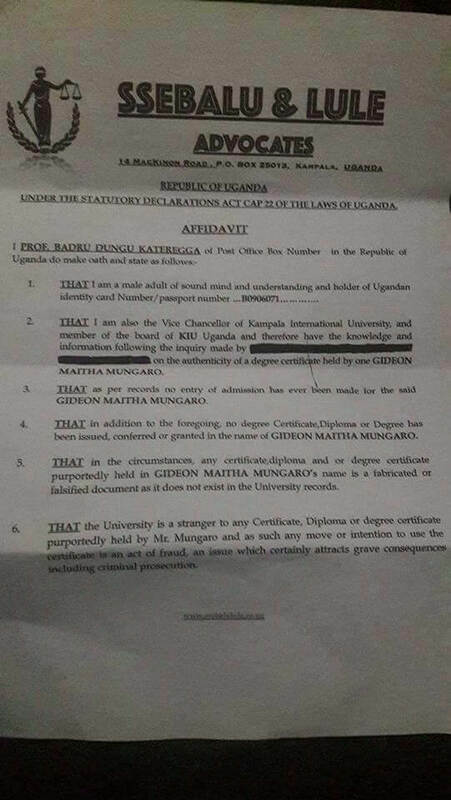 Jubilees' Gideon Maitha Mung'aro under siege over fake degree as claimed by Kampala International University. 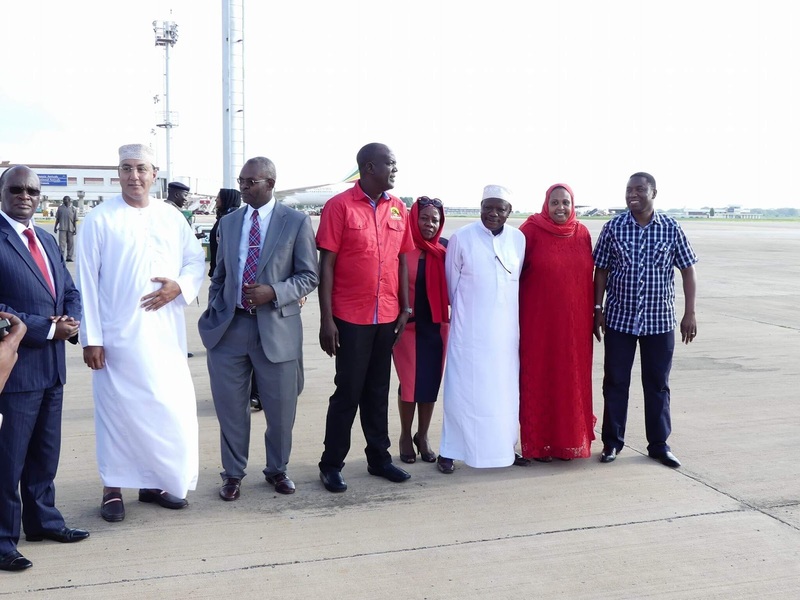 - Bana Kenya News, Real African Network Tubanane. Home featured Mombasa Jubilees' Gideon Maitha Mung'aro under siege over fake degree as claimed by Kampala International University. 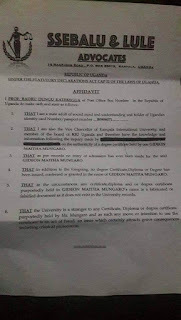 Jubilees' Gideon Maitha Mung'aro under siege over fake degree as claimed by Kampala International University. Gideon MaithaMung'aro in a past Jubilee event. PHOTO | Courtesy. 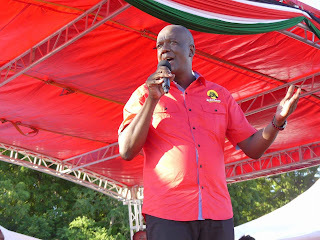 Kilifi North Mp and Jubilee gubernatorial aspirant Gideon Mung'aro now on limelight again after his papers were dubbed to be fake. 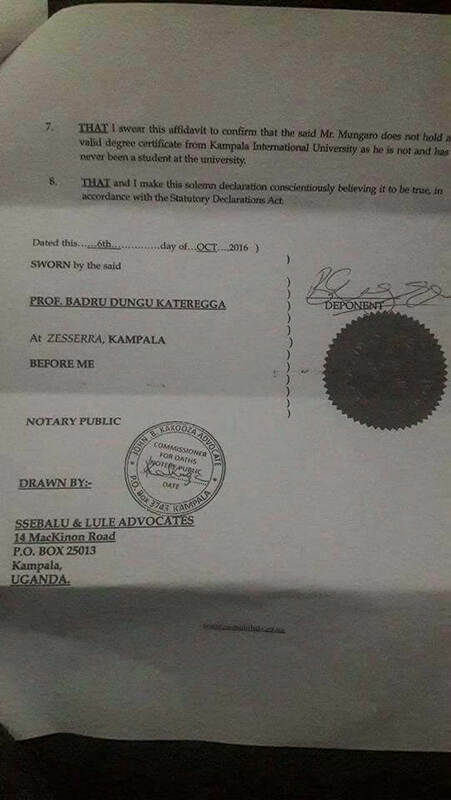 The fabricated papers that were to be presented to the IEBC tomorrow for clearance got a major blow after the Kampala International University rejected them through and affidavit circulated to the IEBC. Kilifi Jubilee Jubilee governor candidate Hon Gideon Mungaro’s campaign team is in the total confusion following the revelation of a signed affidavit by Kampala International University vice chancellor confirming he has NEVER BEEN A STUDENT at the institution and therefore his degree is FAKE/falsified or fabricated. The affidavit effectively puts Mung’aro academic qualification into doubt just hours before his scheduled presentation of nomination papers to IEBC. "The papers alleged to be from KIU are fake, we do not have a student by the name of Gideon Maitha Mung'aro in our database. 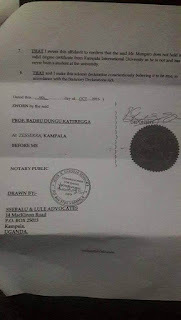 None is called Maitha or Mung'aro from our database" the letter states. This just comes before few hours remaining for Mung'aro to present his papers to the IEBC. His deputy Kennedy Kamto will have a chance of taking the flag if the IEBC rejected his papers. Mung'aro is contesting with ODM candidate Amason Kingi and Kadu Asili Kazungu Kambi. The two contestants were cleared yesterday by the IEBC for the Kilifi county top seat.